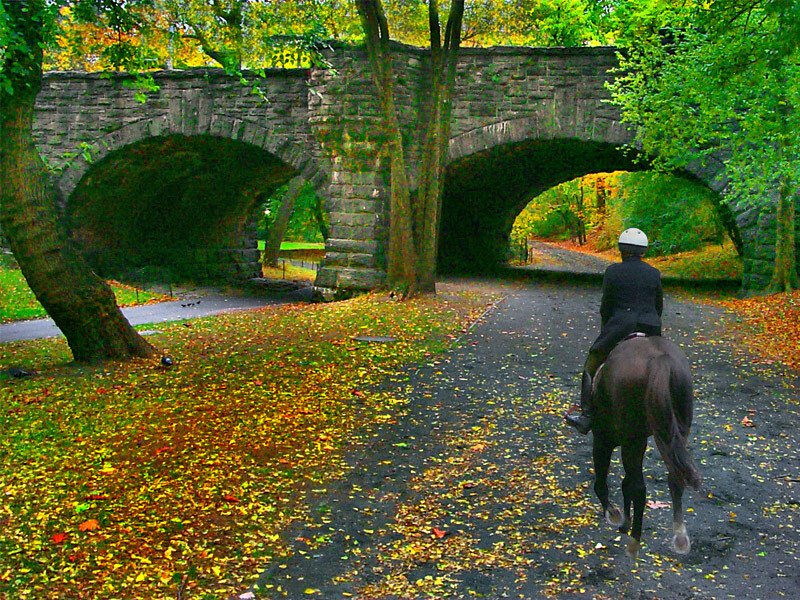 Miami In Focus Photo Gallery of the Eaglevale Arch W77 in Central Park. 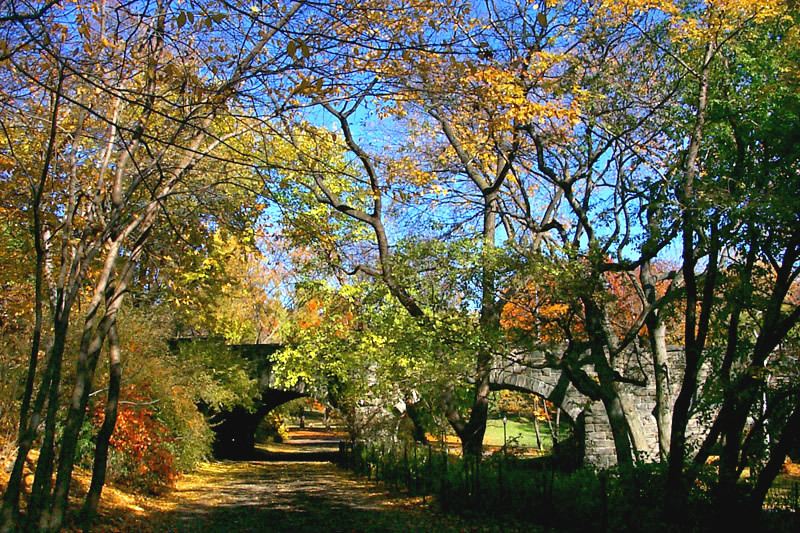 Width - 36 feet: Height - 13 feet (bridle path) 18 feet (pedestrian path). Facade: Gneiss in blocks of random ashlar. Arch: Elliptical with a stone ring embellishment. Revetments (Embankment Extensions): Blocks of gneiss. Whether on foot or on horseback no one can miss the massive unique structure of the Eaglevale Arch as it divides Naturalists' Walk and Azalea Walk. 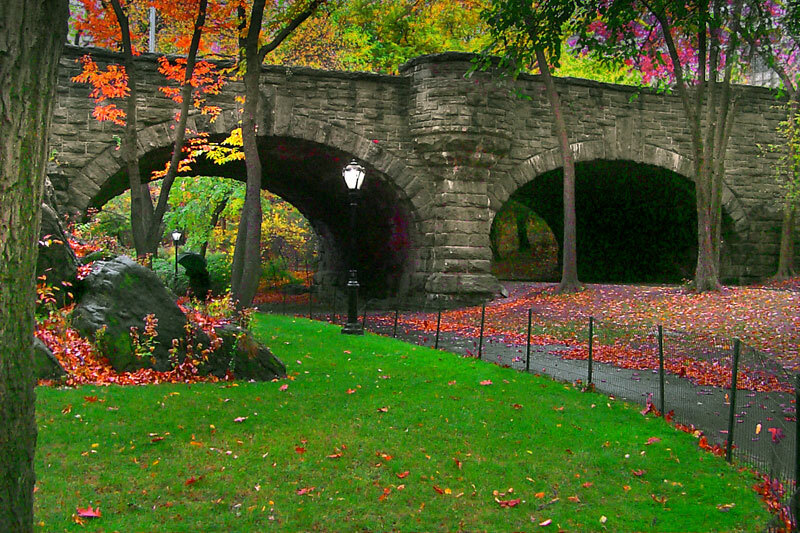 The only double arch in Central Park serves two purposes as it conveys an access road to the West Drive from Central Park West over a pedestrian path and over the bridle trail. Originally, the pedestrian path was a narrow section of the Lake going from Balcony Bridge to Ladies’ Pond, which was filled in around 1936. Its site is currently the location of Azalea Walk. At the entrance of Naturalists Gate, between the two arches, on either side, are balconies resting on buttresses.